Providing meals to those who need it most is something everyone can agree on. To support this effort, BMW has partnered with Feeding America to feed our nation’s hungry through a network of member food banks and initiatives aimed at increasing awareness for this vital mission. Last year, BMW provided 900,000 meals to Feeding America. This year, helping feed the hungry is as easy as taking a test drive during our Drive To End Hunger event. 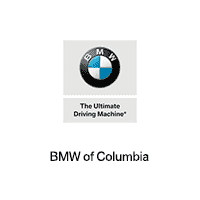 When you test-drive a qualifying vehicle at BMW of Columbia from November 13th through November 17th, it will generate 200 meals for the Feeding America program. That’s 200 meals for those who need it most. Plus, during our Drive To End Hunger Test Drive Event, we’re thanking you for your support with a $1,000 BMW credit. Let’s put an end to hunger together. Fill out the form at the top of the page to schedule your test drive, then get to BMW of Columbia for your $1,000 credit.